Defence Minister Christopher Pyne and Defence Industry Minister Linda Reynolds have announced the purchase of the next MQ-4C Triton RPA system. This aircraft is the second of a planned fleet of at least six Triton aircraft that Australia is acquiring through a cooperative program with the US Navy. “The Triton, which will complement our manned P-8A Poseidon aircraft, will significantly enhance our anti-submarine warfare and maritime strike capability as well as our ability to monitor and secure Australia’s maritime approaches,” he said. 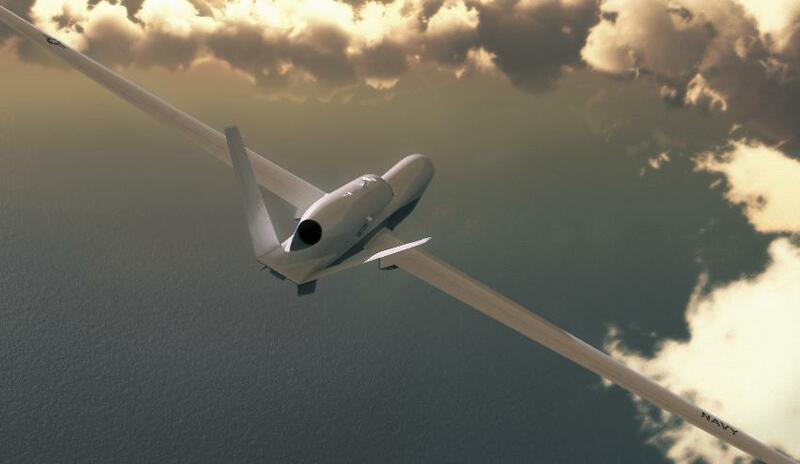 Australia’s procurement of MQ-4C Triton – designed and manufactured by Northrop Grumman – is part of an initial $1.4 billion contract that will see Australia acquire a fleet of up to seven MQ-4C Triton high-altitude, long-endurance (HALE) autonomously piloted systems. Designed from the ground up to focus on HALE surveillance and reconnaissance capabilities, Northrop Grumman’s Triton seemed perfect for meeting the Abbott government’s “Stop the Boats” and border security policies. However, increasing tensions in the South China Sea (SCS) have provided a new suite of mission requirements for Australia’s future surveillance drone fleet. “The Tritons will also be able to undertake enhanced intelligence, surveillance and reconnaissance tasks to support whole-of-government operations,” Minister Pyne said. Remotely flying out of RAAF Base Edinburgh in South Australia, the Tritons are capable of monitoring 40,000 square kilometres a day and seamlessly fly a round trip for sustained surveillance and in support of allied Freedom of Navigation Operations (FONOP) in the SCS from the Northern Territory – increasing Australia’s interoperability with key allies, particularly the US. Minister Reynolds said that the Triton acquisition will provide significant opportunities for the Australian defence industry as “the project is expected to create about 70 jobs in South Australia and the Northern Territory”. “In the sustainment phase in particular, there will be significant opportunity for Australian industry to share in billions of dollars of system maintenance and network management functions,” Minister Reynolds added. This announcement comes a month after the signing of the Australian Industry Capability (AIC) deed between the Commonwealth government and Northrop Grumman Australia at the Avalon airshow. Northrop Grumman’s AIC deed establishes a framework to deliver real opportunities for Australian industry in major Defence programs, in particular the MQ-4C Triton program with the Royal Australian Air Force. The company is committed to working with government to develop the highly skilled workforce required to build a sustainable, sovereign industrial base. Northrop Grumman is a leading global security company providing innovative systems, products and solutions in autonomous systems, cyber, C4ISR, space, strike and logistics and modernisation to customers worldwide.